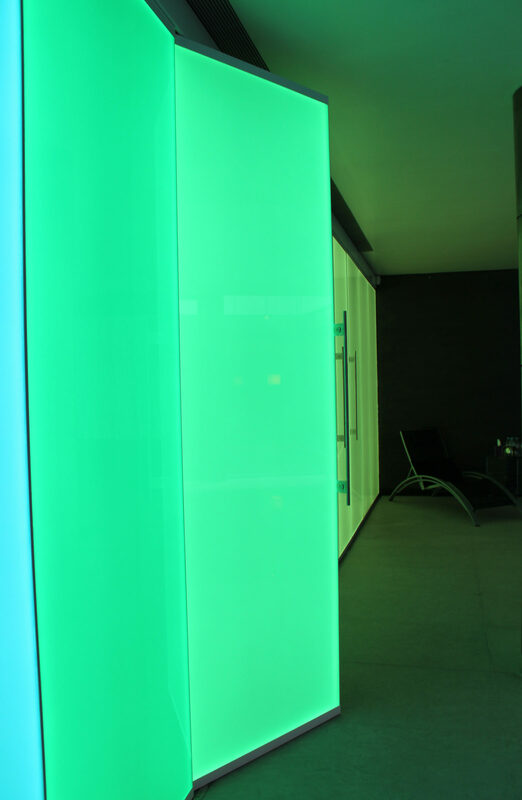 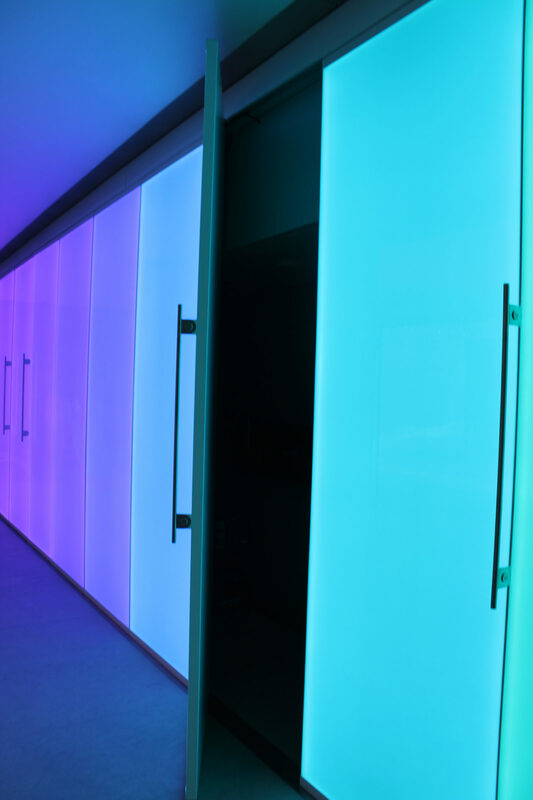 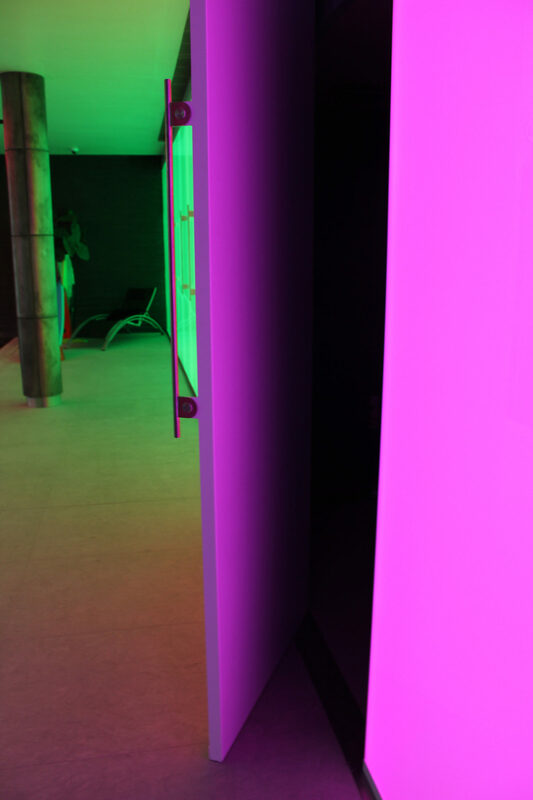 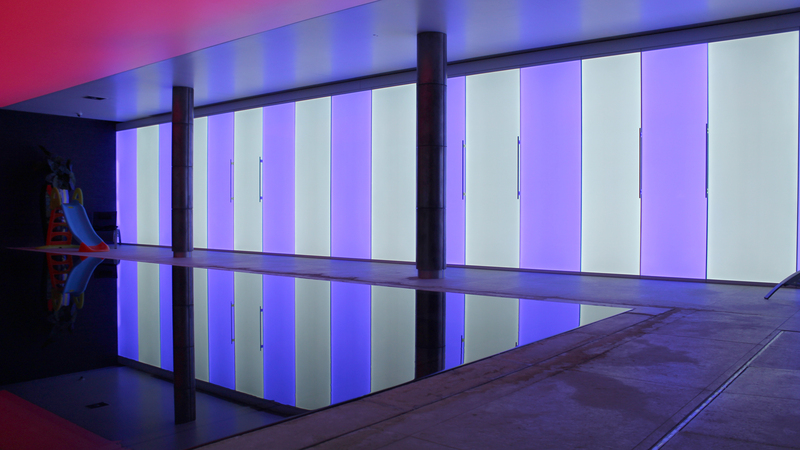 The Light Lab designed, manufactured & installed a bespoke colour changing light wall for the luxury swimming pool at a private residence in central London. 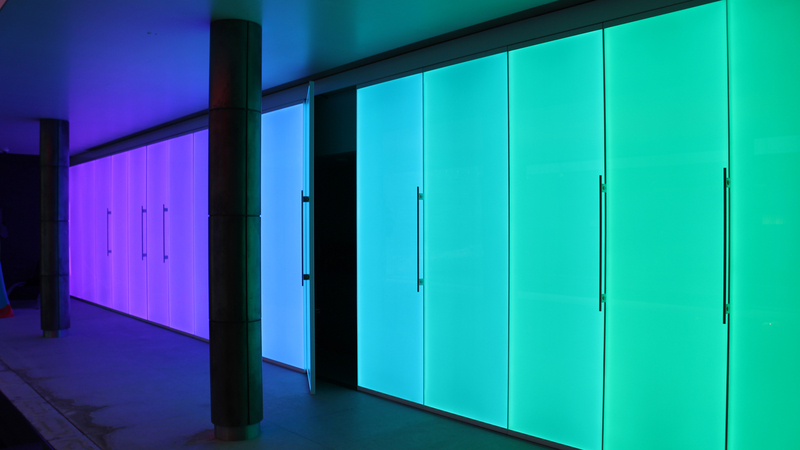 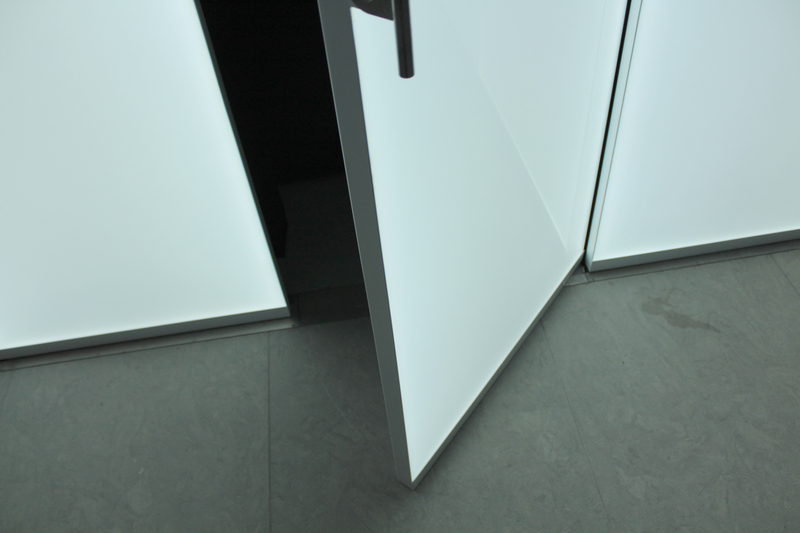 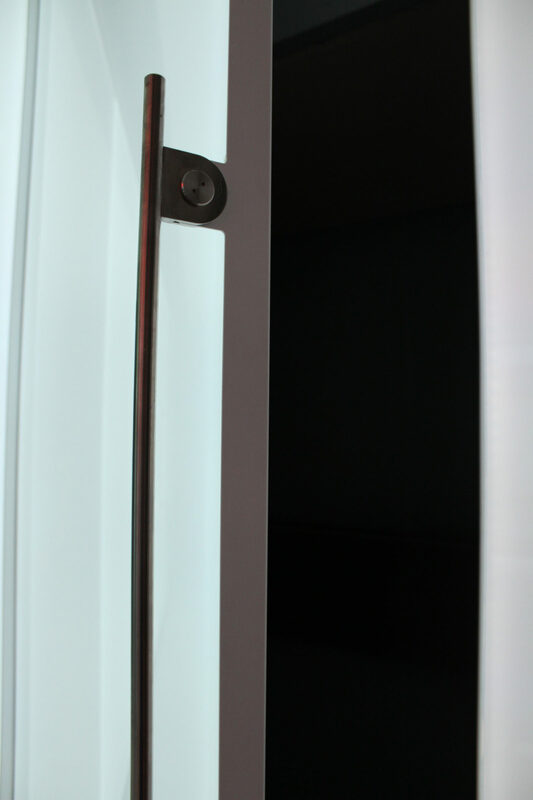 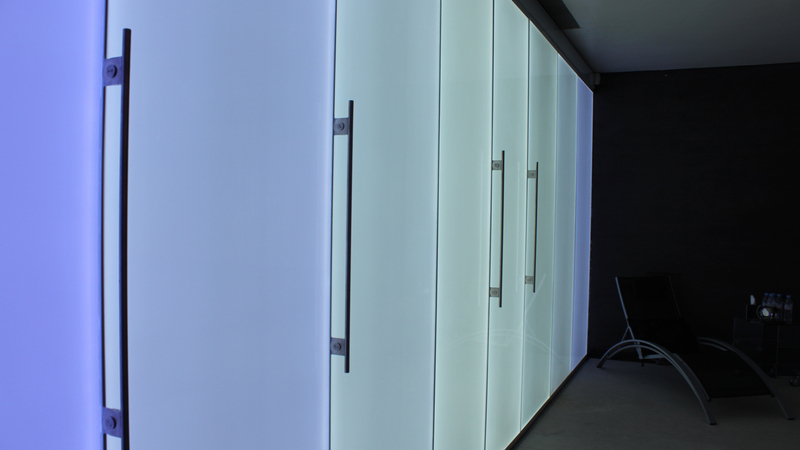 At 40mm total depth the ultra-slim light wall creates a stunning feature surrounding the pool, whilst also providing functionality, with several of the panels doubling up as full height doors allowing access to the changing rooms & storage compartments behind. 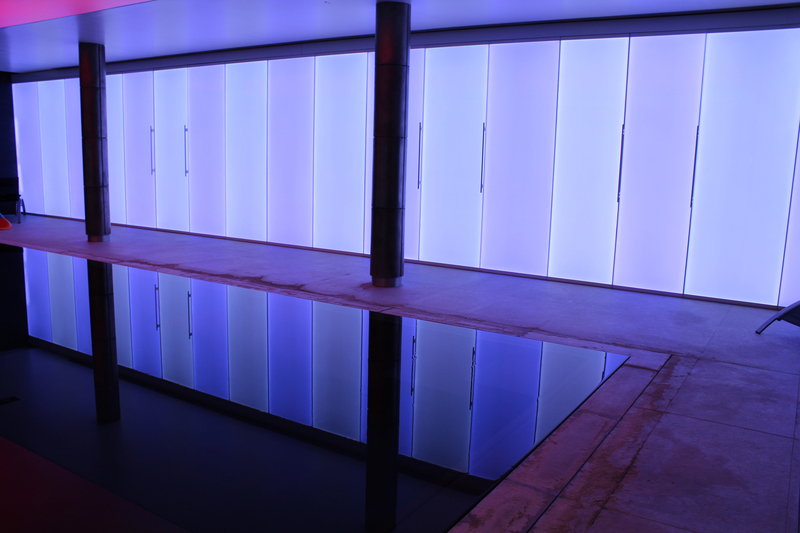 Due to the high temperature and humidity of the swimming pool environment the team also had to ensure that the panels were completely sealed and waterproof rated for purpose. 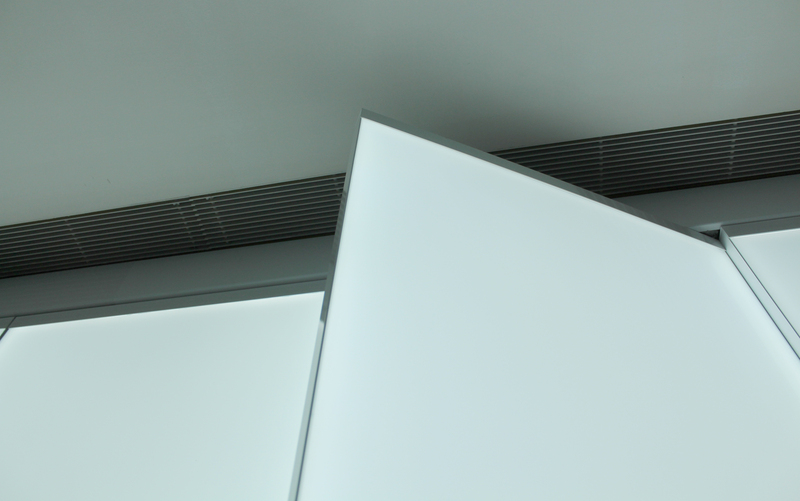 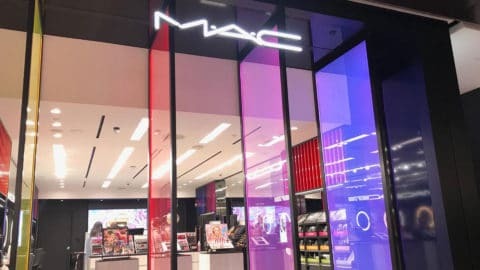 The full RGBW LED panels run a host of different preset programmes all controlled through a Pharos VLC controller linked to the house iPAD; so the user can easily switch between options to suit.